In the early years of operation, Midland Lead Australia primarily supplied lead sheet for local businesses operation in the Building and Construction Industry. Over time however, the company has expanded the supply of lead products to markets beyond construction, including the Healthcare industry. Midland Lead offer a variety of lead products to those in the medical and healthcare industries. Our products are used in hospitals and clinics, dental medical imaging applications, university research laboratories and veterinary surgeries. Midland Lead has been involved in the manufacture and supply of lead products for more than 30 years. Our knowledge of shielding technology means the products we supply offer the necessary protection, ensure safety and are produced to the highest standards. Midland Lead Australia has established itself as a trusted supplier to the healthcare industry. One of our recent projects included the provision of over 20 rolls of radiation lead, 10kg 1220 Wide 2.1m, along with a lead lined door, to a company working on project within a research building within the Australian National University. 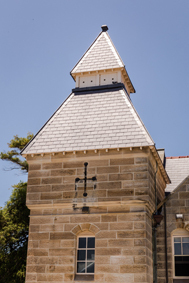 Another example is the provision of lead lined sheet and lead doors the Prince of Wales Hospital in Randwick. We have assisted many organisations with their radiation shielding solutions. Midland Lead Australia can deliver, arrange a courier, or alternately we will work with your courier provider to arrange delivery. For further information on the many radiation shielding solutions we have available please contact us today for a quotation.